We are happy, excited and proud of this wonderful line-up of speakers including experts from so many fields: festivals, science, initiatives and politics. Two days dedicated to festivals of the future, a life worth living and how to stay sane in a crazy world. We are looking forward to meeting you, because we want to talk about today and tomorrow. Let‘s discuss how we run our operations smarter and how we treat the environment and ourselves more responsible and more sustainable. In addition to our H2 Corner, Dr Stefano Barberis will present our Everywh2ere project in a panel discussion. Panel will be hosted by Jacob Bilabel from our project partner Green Music Initiative. Do we really need more more more? The audience want brighter and crazier lightshows. The artists demand LED screens as far as the eye can see. The safety guys demand the best backup systems available. Let‘s create the most efficient energy sources with the least emissions produced to meet those needs and power the events of the future. We will talk about needs, plans and developments. Nothing more or less than a change of the industry‘s energy philosophy. GO stands for Green Operations. 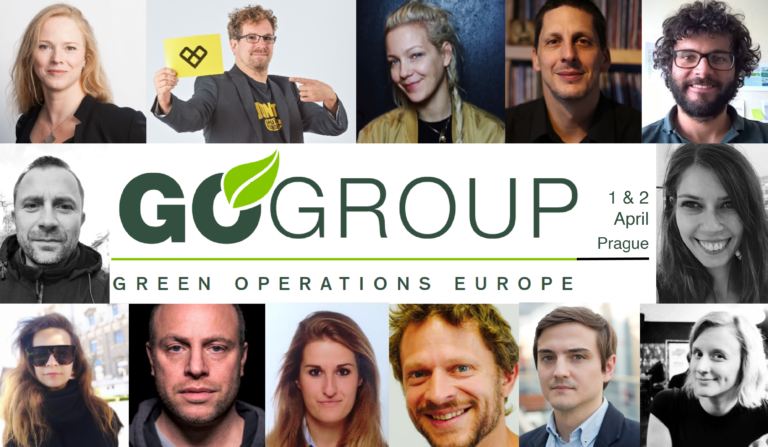 GO Group was founded in early 2011 by GreenEvents Europe Conference, Green Music Initiative (GMI), Yourope (the European Festival Association) and Bucks New University. Today Holger Jan Schmidt and Jacob Bilabel made it a European institution for sustainable event management, which curates workshops, programs conferences and brings together Europe’s leading thinkers and doers. 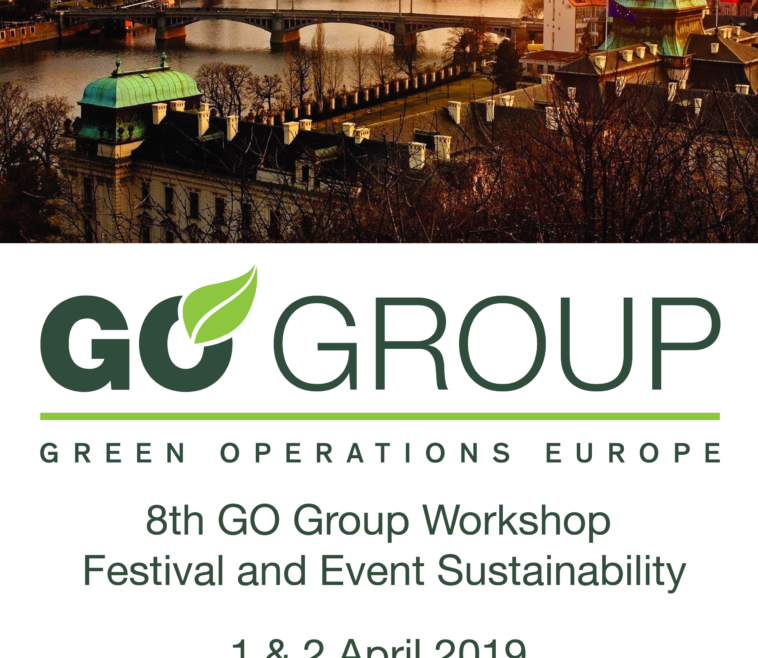 GO Group sucessfully carries out international workshops as well as field trip workshops to festivals in all of Europe to its festival partners like Exit Festival (2015), Roskilde (2016) and We Love Green (2017) amongst others. It also provides major contributions to the leading conferences and conventions of the events and live music industry such as Eurosonic/Noorderslag (NL), Green Events & Innovations/ILMC (UK), ADE Green (NL), MaMa Paris (FRA), by:Larm (NO), Nouvelle Prague (CZ) and others. 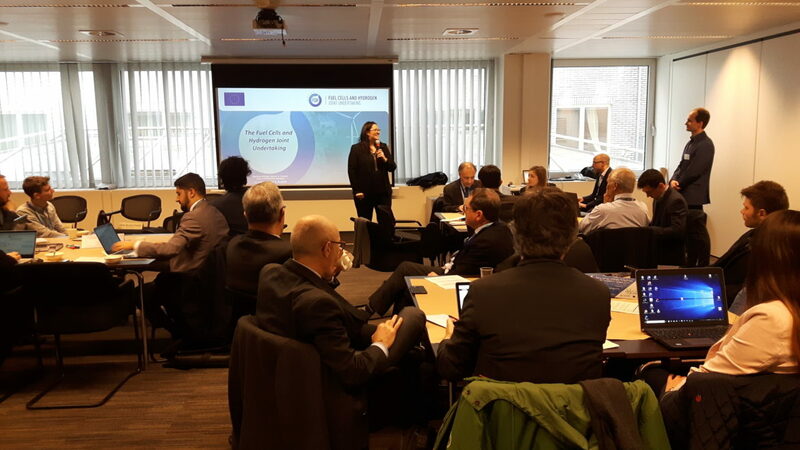 On 15 January the EVERYWH2ERE project carried out a workshop “Upscaling Hydrogen Gensets in European Cities” in Brussels back-to-back with a meeting of the FCH JU’s Regions & Cities Initiative. Panellists from the city of Oslo (NO), DG ENVE, Hydrogen Europe and the Region of Aragon (ES) concluded on the EVERYWH2ERE hydrogen gensets as a highly interesting option for cities, regions and companies alike to reduce their emissions despite the higher initial investment costs. Next to operating zero-emission and zero-noise, the gensets are a quick to implement technology with high public visibility specifically useful for showcasing local and regional sustainability ambitions. Local and regional regulation, such as public tendering and procurement, are a powerful tool to accelerate the transition to non-diesel generator sets. This can be seen in Oslo where the city motivates the construction sector to apply zero-emission solutions, but also encourages other cities through international city networks such as ICLEI. By implementing beneficial policies and by establishing clear targets regarding air quality and emission reduction, cities are providing signals to the private sector that clean solutions are encouraged and that the necessary regulation will be in place. This is especially important considering the initial higher investment cost of hydrogen gensets compared to diesel-based generators. Political vision therefore prepares and incentivises investment. However, it might not always be a matter of incentivising the private sector as existing red tape and complicated permitting procedures are often hindering efficient installations of hydrogen-based technologies in the city area. A lack of finance and capacity often stands in the way of local and regional authorities acting as a facilitator and for bringing different stakeholders together. The importance of facilitation was demonstrated by the example of the Aragon Hydrogen Foundation which has been set up by the regional government and brings together more than 70 members key to the regional economy ranging from industry, consulting, public administrations and associations to promote the use of hydrogen on a regional level and to provide policy and technological solutions alike. 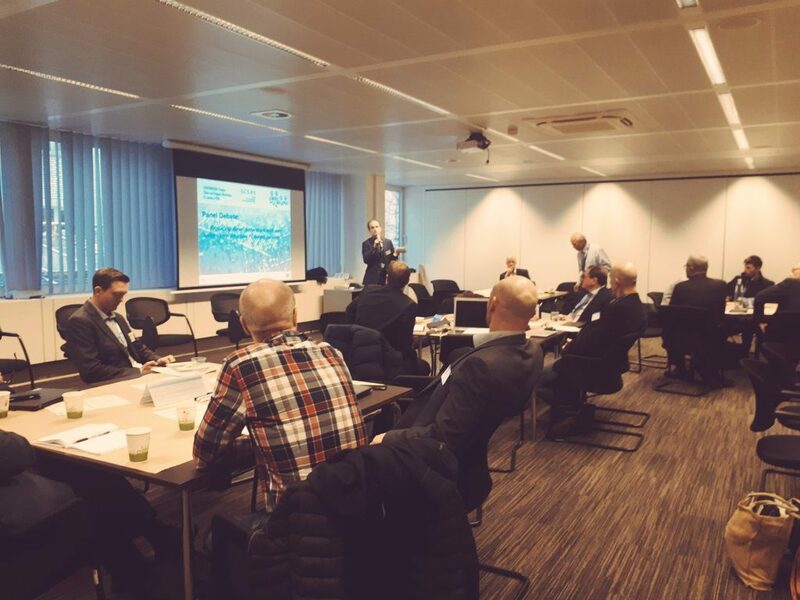 Workshop attendees agreed that now, following this workshop, demonstration of hydrogen gensets in European cities is of utmost importance. 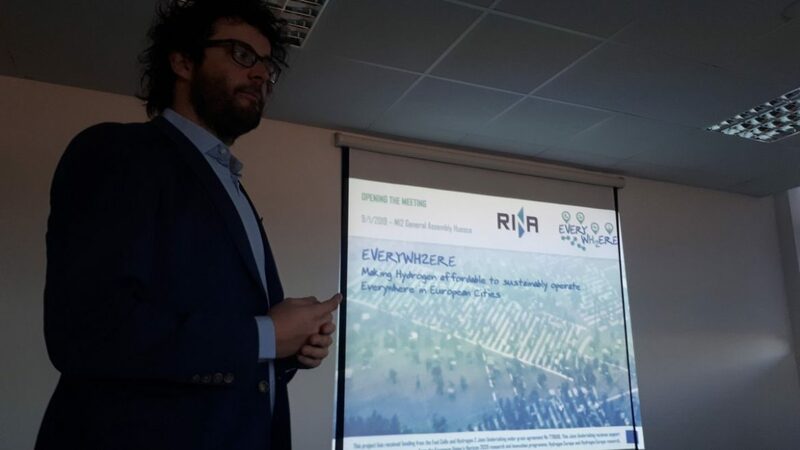 The EVERYWH2ERE project looks forward to working together with Regions and Cities in providing four 25kW and four 100kW gensets to organizers of temporary events in coordination with the local and regional authorities. Next to directly showcasing the benefits of the gensets important lessons and policy recommendations will be generated and shared. 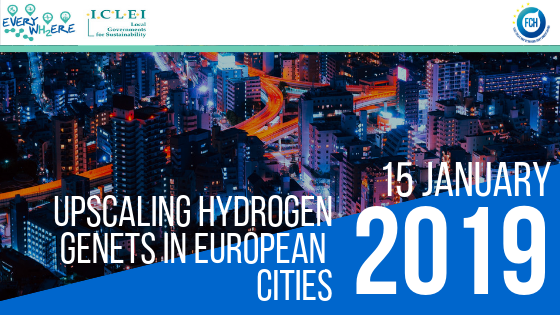 In order to explore the context-specific framework conditions for hosting hydrogen gensets, local and regional authorities are invited to become part of the EVERYWH2ERE Regions & Cities Interest Group. 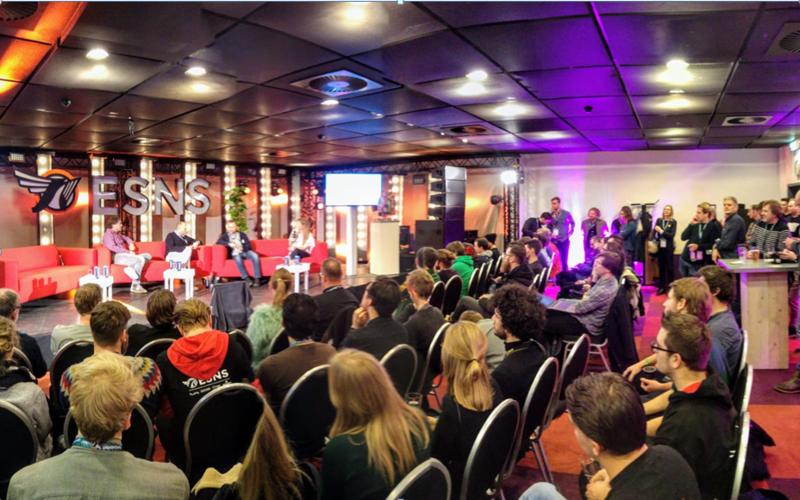 At Eurosonic Noorderslag festival conference our Green Music Initiative suceeded in having the Everywh2ere H2corner and two panels on hydrogen / future energy at festivals. Eurosonic Noorderslag is an annual four-day music showcase festival and conference and Europe’s most important meeting for the festival and live entertainment industry sector with more than 5000 attendees held in January in Groningen, Netherlands. Making a huge impact with a low impact on the planet: this is how the future is being built. This panel will show some of the latest ideas, goals and the progress of various smart systems, modules and solutions. 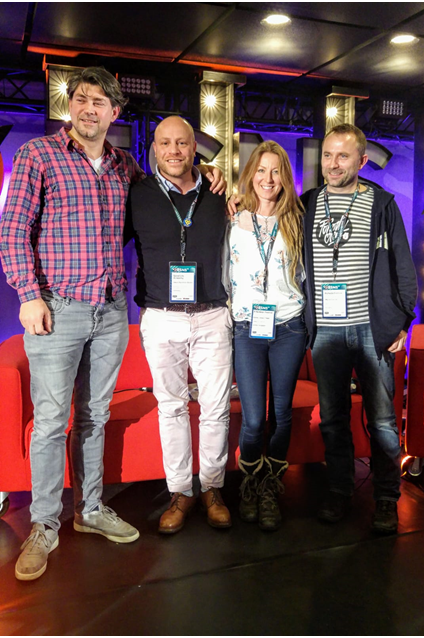 From the circular economy to hydrogen energy – these measures will be implemented at the festivals and events of the future and this panel will show you how. Trends towards more stringent legislation (Paris 2020) and social responsibility require urgent action in the substitution of diesel generators at festivals. A practical solution (wind and solar energy) is to be presented at EPIC in this session. Various viewpoints of this theme will be discussed with policy makers, artists and companies using the same technology, with emphasis on urgency, feasibility, and practical applicability of the presented solution. 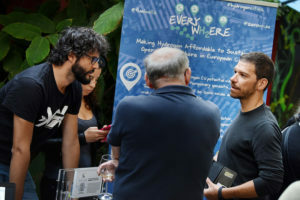 Furthermore we set up the Everywh2ere H2corner at the conference in partnership with Yourope European Festival association ( https://www.yourope.org/) and Take a Stand (https://www.take-a-stand.eu/) to engage stakeholders in conversations on hydrogen, get them as demosite partners and reach out to industry experts. On 8-9 January 2019, EVERYWH2ERE consortium met in Huesca, Spain, at FHA Headquarters, for the Month 12 General Assembly (GA) of the project. In this meeting, main issue to be discussed was the redefinition of different roles of project partners due to the withdrawal of former partner Swiss Hydrogen. 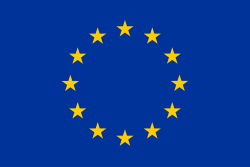 Thus, two new partners have joined to the project Consortium: THT Control OY (Finland) and FRIEM S.p.A (Italy). Over the coming months final FC Gensets specifications will be carried out and it will be going forward from designing the demonstration strategy. 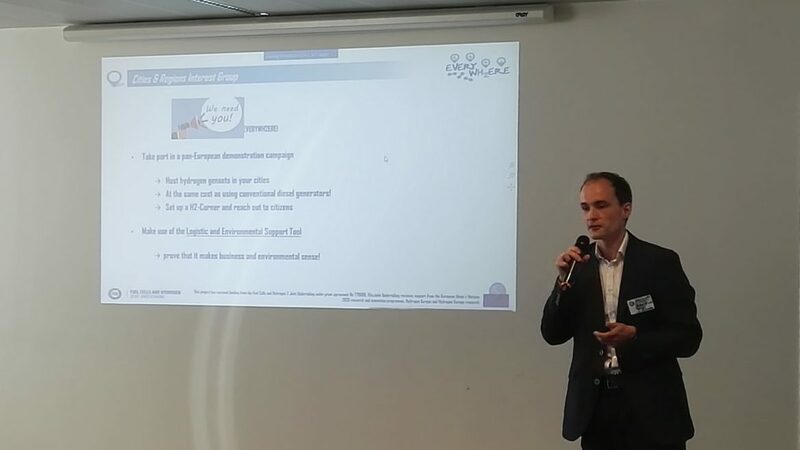 As it was remarked in June 2018 in Goteborg (Month 5 General Assembly), partners have made an important effort to engage Stakeholders and demonstration sites to the project, by presenting the project in different conferences and workshops and contacting with different industrial and regional groups (genset rental companies, cities…) and event promoters. The next General Assembly of the project will be held at the Tht facilities in Helsinki, Finland, on the 11th and 12th of June. Climate change is affecting every city on every continent, challenging us in the most unpredictable ways. This happens mostly due to our behavior and our urban habits (use of cars, heat our houses, etc. ), nevertheless when we think about urban emissions we do not take care of other potential everyday smaller emissions point like for example temporary gensets. We have therefore decided to join Climathon 2018, a 24-hour hackathon organised by Climate-KIC, in order to engage people on climate action and provide cities with the opportunity to exploit EVERYWH2ERE innovative FC gensets. On 26th October, Stefano Barberis – our Low Carbon Energy & Smart Energy Management Engineer and coordinator of the FCH JU H2020 project EVERYWH2ERE – will join Climathon 2018 in the city of Turin. In particular, he will have a speech about EVERYWH2ERE, an innovative research project coordinated by RINA that bases on the idea that hydrogen and fuel cells can be a sustainable option for temporary power generation, also in order to unlock technological and market development of fuel cells and hydrogen technologies. In fact, EVERYWH2ERE aims at developing 8 Fuel cell equipped containered “plug and play” transportable gensets. These gensets are overcoming traditional gensets solutions mainly based on diesel engines providing a zero emission – zero noise solution. 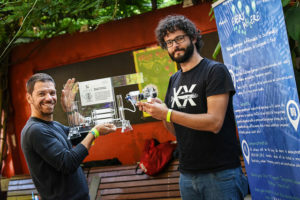 EVERYWH2ERE prototypes will be tested in construction sites, music festivals and urban public events all around Europe, demonstrating their flexibility and their enlarged lifetime. Register now here and join us in Turin! 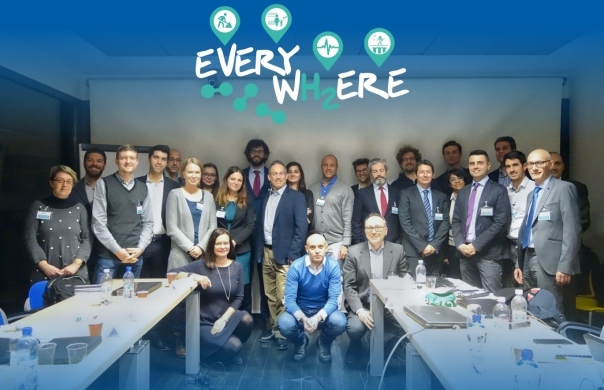 The Everywh2ere project participated at the 8th General Assembly of the Regions and Cities Initiative, which took place the 9 October 2018 at the FCH JU’s premises in Brussels. Our partner from ICLEI could promote the project during the FCH JU Regions & Cities Initiative. This meeting was a success and the project generate quite some interest from city and industry partners alike. The project will continue to reach out to local governments to get the Cities Interest Group going. European cities can become living lab for the demonstration of Fuel cell and hydrogen technologies, starting from their use in niche, but everyday applications such as temporary gensets that are used in construction sites, music festivals and temporary events. .Leveraging EU excellent knowledge from consortium partners in FC application for automotive and telecom backup power solutions, EVERYWH2ERE project will integrate already demonstrated robust PEMFC stacks and low weight intrinsecallty safe pressurized hydrogen technologies into easy to install, easy to transport FC based transportable gensets. 8 FC containerd “plug and play”gensets will be realized and tested through a pan-European demonstration campaign in a demonstration to market approach.The prototypes will be tested in construction sites, music festivals and urban public events all around Europe, demonstrating their flexibility and their.enlarged lifetime. Demonstration results will be capitalized towards the redaction of three replicability studies for the use of the gensets in new contexts (emergency and reconstruction sites, ships cold ironing in harbors, mining industrial sites) and for the definition of a commercial roadmap and suitable business model for the complete marketability of the gensets within 2025. A detailed logistic and environmental analysis will be performed in order to study the complete techno-economic viability of the gensets and a decision support tool will be realized to support end-users in future replicability. According to the crucial role of cities to promote through policies and dedicated regulatory framework the spreading of FC gensets, local authorities will be involved in the project since its beginning. A strong dissemination and communication campaign will be conducted particularly during “demonstration events” (more than 25 festivals involved) in order to increase public audience awareness about FCH technologies. EVERYWH2ERE team is coming to Cologne: are you ready for music festival hydrogen transition? EVERYWH2ERE team is glad to announce that the project will be officially launched at the C/O Pop Convention and at the Green Music Awards event thanks to the support of D1! The C/O Pop Convention is an event that addresses topics related to the music industry and this year it will be held on 30/31 August in Cologne, Germany. In 2017 more than 30,000 visitors came to the C/O Pop festival discussing about how to innovate music festival industry. 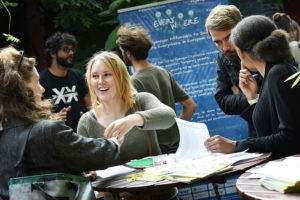 Music Festival sector is more and more keen to sustainability and energy aspects, so EVERYWH2ERE team will join the event to meet potential stakeholders and introduce them to the project and to hydrogen technologies. Buy your tickets here and meet them in Junioren-Zimmer (4.OG) on Friday 31, from 14.00 to 15.00! In the framework of the Green Music Awards 2018, EVERYWH2ERE team has been invited to the Green Music Initiative BBQ on Saturday, 1st of September. 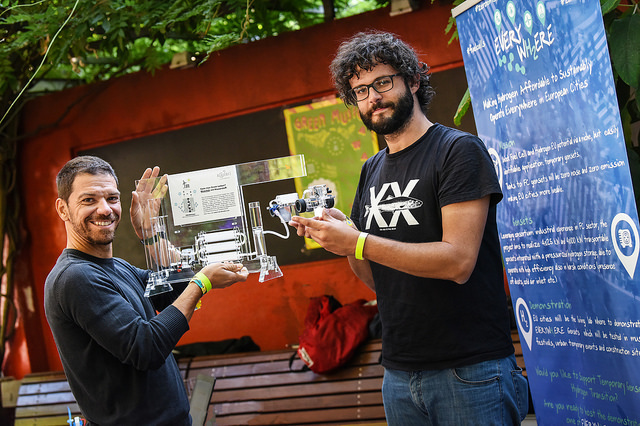 The event will be a perfect opportunity for EVERYWH2ERE Consortium to informally meet potential stakeholders and music festival organizers introducing them to hydrogen technologies via the EVERYWH2ERE H2 Corner, collecting their feedback and trying to engage them for future demonstration. Register here and join us in Cologne!